Beautiful weather we are enjoying right now, which means a busy bike shop. Not to bore you with the details, but we have been repairing buying selling repairing upgrading and even downgrading bikes as fast as we can and trying to get out and enjoy the season on our two wheelers as well. The 30¢ Squad has been out on the roads and trails with appearances at the Gran Gable, Colesburg 40, Sugar Bottom Scramble, Chequamegon 40 and Culinary Ride just this month – whew! 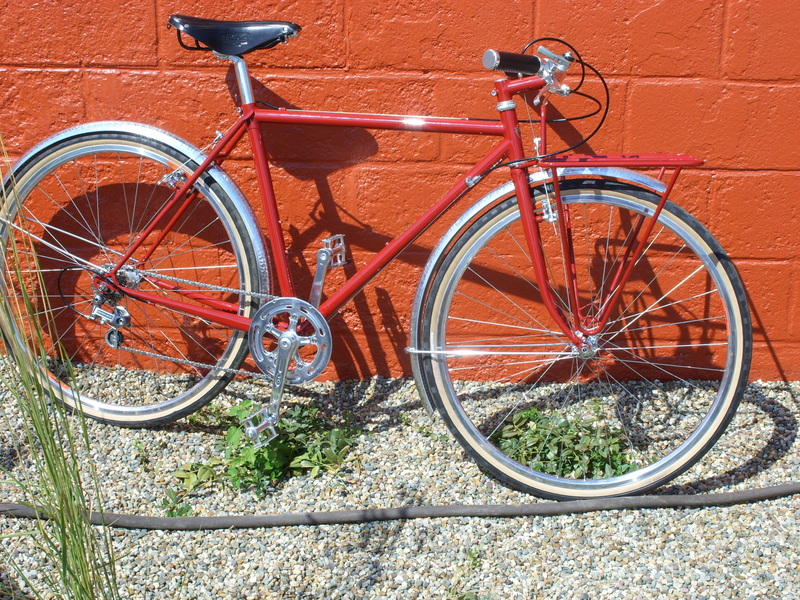 This Schwinn Voyager was made in Japan and left for dead in a garage in Illinois but it is getting back on the road with some new tires a chain and freewheel. 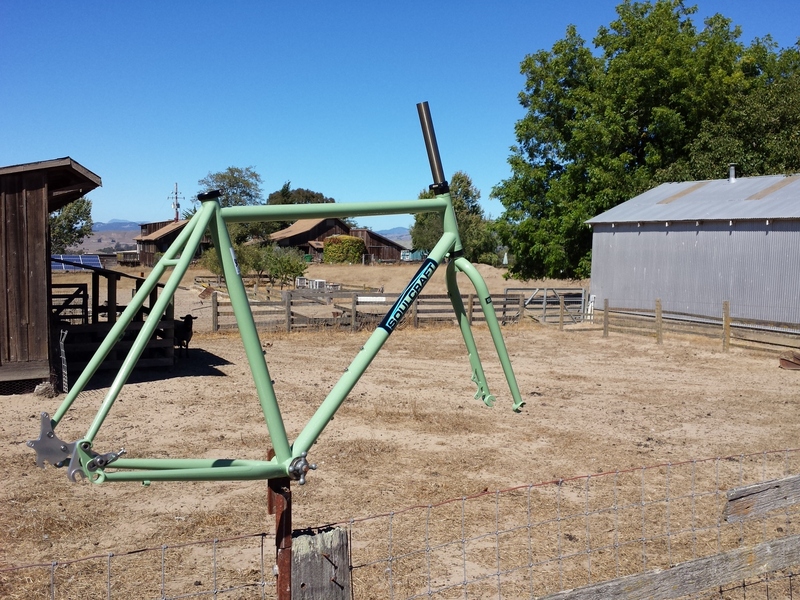 Lots of miles still ahead for that lugged 4130 cromo frame. 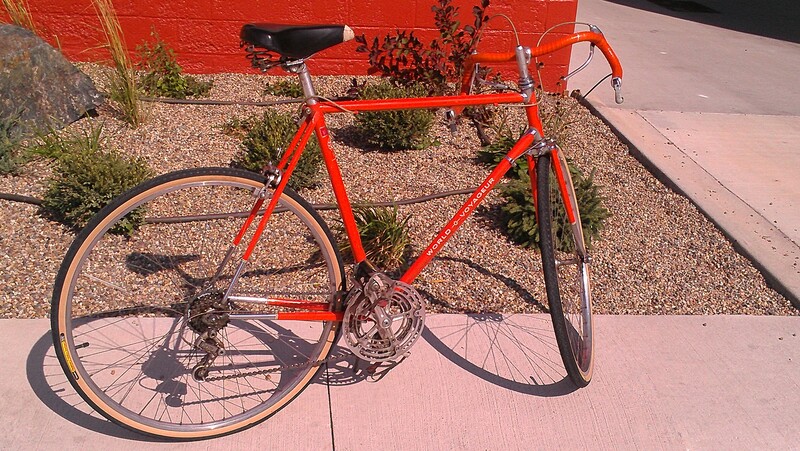 An unfortunate encounter with a long leashed dog took this Bianchi Cortina for a tumble. Dog and rider are okay, handlebar not so much. We finished the Soulcraft build! A great mix of parts for a super smooth solid superlative cycle. 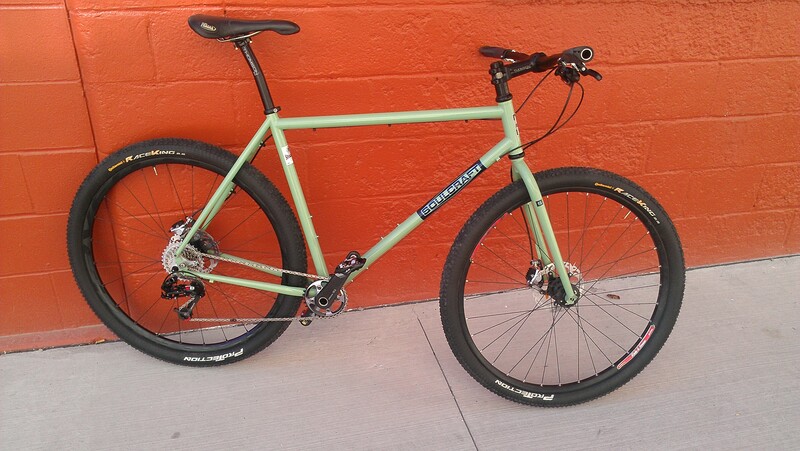 And last, Steve added a BreadWinner 29er frame to his family of bicycles built in Portland. His current mtb will be for sale as soon as the mud of north Wisco is cleaned off so if you are interested come take a peek! Well there you have it, up to date! Upcoming excitement includes a probable cyclocross race start on Sunday, tech and trailer support for the Soilmates mobile garden that will be rolling through the UI homecoming parade next Friday, the barely known Gritty Brevet, and an All City Space Horse frame up build. Actually that comes first and need to get back to it! Some things that come through the door here take immediate precedence above all other things. The latest Aance Larmstrong news. Titanium pencils. 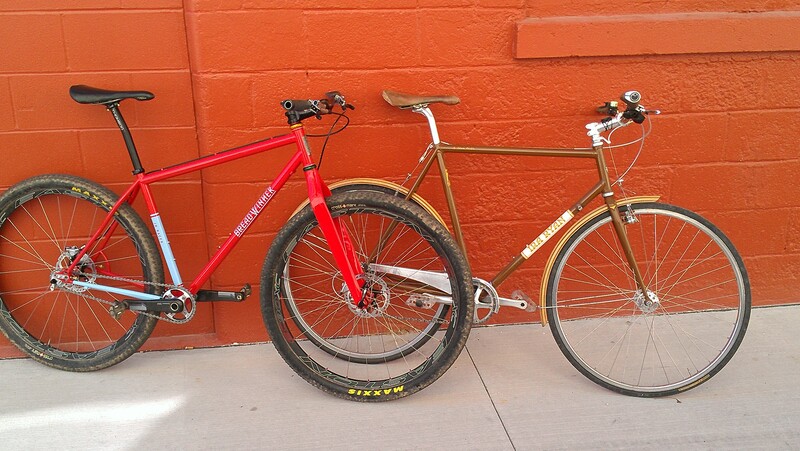 An even FATTER bike tire. 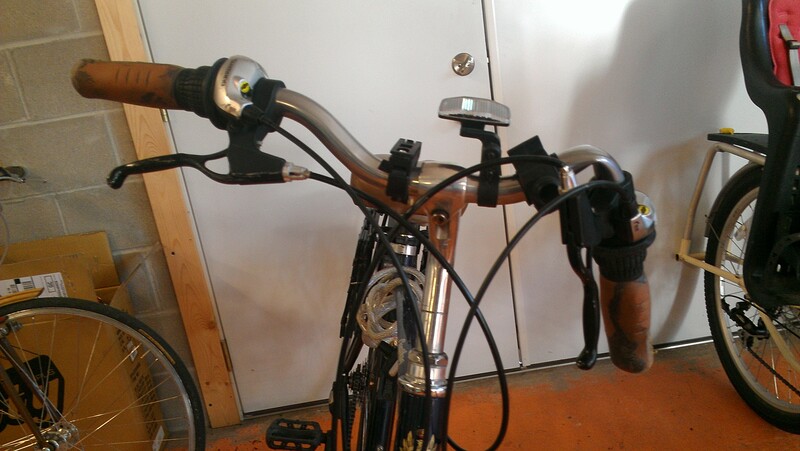 Integrated bicycle product slash beer bottle openers. 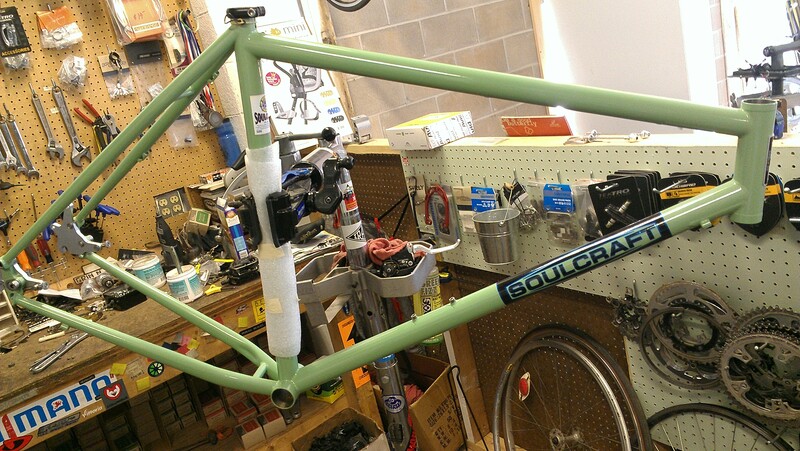 And, ever so ho hum – the occasional custom bike. This beautiful Ira Ryan portuer came in for final assembly and adjustments last week. 650b wheels, shiny parts from VO and Paul and Chris King all around, frame and fork and front rack all handcrafted by 124 Bloomington St #5 alumni Ira Ryan hisself. What does 124 Bloomington St have to do with anything? Well that is the basement apartment just north of downtown Iowa City where Ira and Steve lived together starting back in 1997, and where the owner of this beautiful bike used to live, too. It was an amazing apartment that was cheap, literally underground, and had no lease or even keys, just move in and pay rent until you moved out! A lot of bike people lived there over the years, it was quite the scene. So now you know. The latest shop stopper delivered is this Soulcraft Holy Roller that showed up today. Soon it will be in Wisconsin at the Chequamegon 40. And what of the next Shop Stopper? 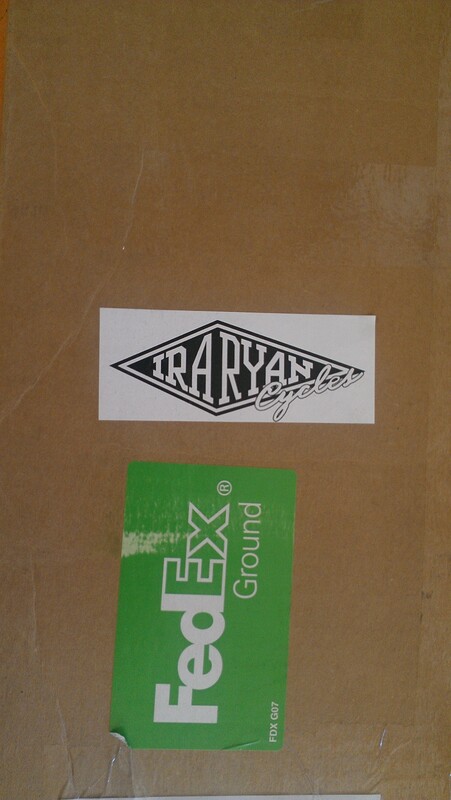 We don’t know, but anticipation is mighty high that it will be another 29er frame.